Yes, ladies and gentlemen, the great Gods of International Sport have deemed Rio de Janeiro, Brazil, worthy of its finest competition: the 2016 Summer Olympics. I want to be excited about this; even the most cynical of persons will sprout a few goosebumps while watching jubilant crowds roar for their city’s “victory”. But when the crowds part, the beach is emptied, the police go back to their posts, the robbers and slum-dwellers return and the politicians down the last few gulps of congratulatory champagne…what then? “Brazil is the size of the United States, with a population of 200 million, and has certain partially developed zones, such as São Paulo. But it is far from being a regional power. It has one of the world’s most unequal distributions of income…(). Brazil’s level of corruption – 3.5, according to Transparency International – is shameful and worse than that of several African countries. During my short stint here, I’ve had the privilege of interviewing (teaching English to) several different high powered executives i.e. bankers, real estate managers, sales directors, etc., and many will say this on the current situation here in Brazil: “We have a ways to go…” And they sit in my classroom learning English in order to expedite the process of getting to that place they feel is in their not-so-distant future. A “First World” kind of place. A kind of place that doesn’t look like the Rio de Janeiro of today: a place that might kill you if you’re in the path of a stray bullet, a place where 30% of the population is very poor, a place that promises “investment in the nation” as President Lula stated this morning on Brazilian radio, but delivers a lot of hot air. During the 2007 Pan American games, 20,000 police officers were deployed in Rio. The morning of the opening ceremonies, a stray bullet killed a 16-year-old boy as he cooked breakfast in his home and the tight security around the stadium meant that many fans could not get to the ceremonies on time. It was rumored that Brazilian authorities orchestrated deals with drug dealers and slumlords to cease violence and theft during the games and those that could not be persuaded financially were dealt with otherwise. In one crackdown, nineteen people were killed. That was two years ago and the final bill for those games was a measly US$ 4 billion compared with the projected US$ 15 billion for the 2016 Olympics. I don’t watch the Olympic games and not because I’m against them per se, but because they don’t interest me. They’re too big, too corporate and too slick; I get distracted by all the branding. 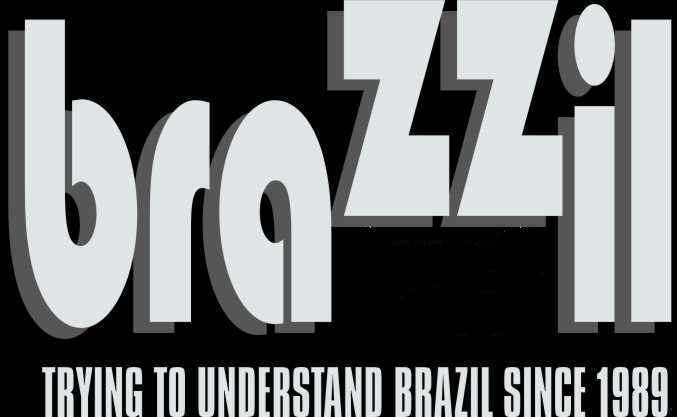 But Brazilians are bona fide sports addicts and I have not passed a bar – juice, beer or otherwise – where a sport wasn’t blaring on a TV; soccer-talk being the male conversation topic of choice therein and F1 coming in at a close second. It’s a big country and a few things can unite it like a futebol game, but the reality is that games also act as distractions, as do the big parties that Brazilians are famous for. It could be said that the poorest nations in the world also know how to party the hardest. This is certainly true for Brazil. The brief distraction and glory that the Olympics can provide is no respite from the reality that millions of hardworking Brazilians face and will continue to face once the games have come and gone. There are no government watchdogs here, no safety nets, and absolutely no serious investment in health and education: the latter two being pillars of a strong, powerful, healthy society. There’s a two-tier health care system that rewards doctors for going to private hospitals and pays public doctors to get patients in and out without looking them in the eye. There’s an education system so poor, it forces middle class and upper class parents to fork over thousands of reais to private institutions. President Lula claims to represent the poor but the funding sanctioned for his benevolent programs mostly land in pockets of politicians and sycophants and are supported by the over-strapped, highly taxed middle class. And Brazil is killing its middle class; its lifeblood. OK yes, I can see the upside of hosting a gigantic sporting event in a sport-crazed country and bringing some attention down south, but you can be sure that the real face of Rio will get nothing more than a temporary lift: tear down favelas (slums), lock up the thieves, pay the slumlords to put away their guns, bust out the Carnaval costumes, build some trains, force drivers to stay home, and when the world’s eyes are looking the other way, the crooked leaders and corrupt bureaucrats will return to business as usual with a massive deficit on their hands and slums to re-build all on the taxpayers bill. But what do I know? Honestly. Maybe this is Brazil’s chance to “invest in itself”; I really hope that’s the case. I’d love to see this wonderful orange tree start growing some healthy apples.